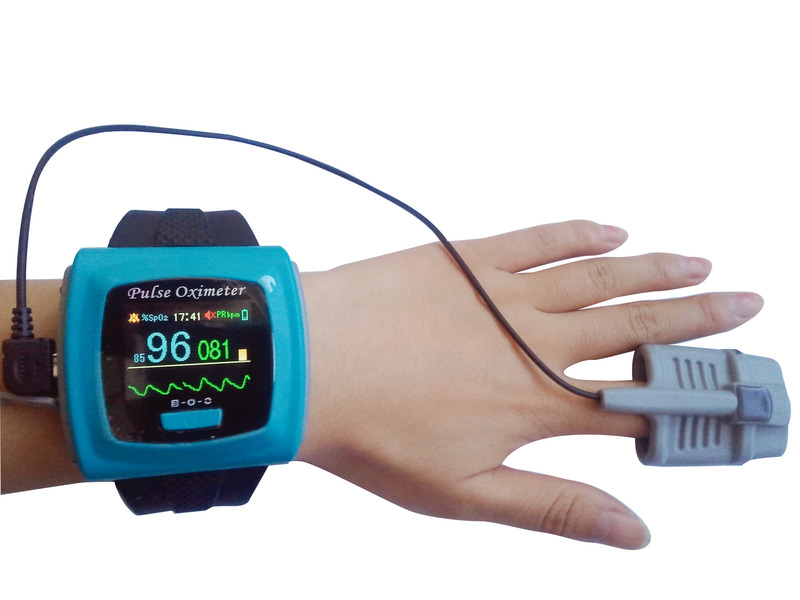 Designed for daily activities monitoring and overnight sleep studies, The CMS-50F Wristband Pulse Oximeter with comfortable soft spo2 probe is suitable for family, hospital, oxygen bar, community healthcare, physical care for athletes and sports enthusiasts. 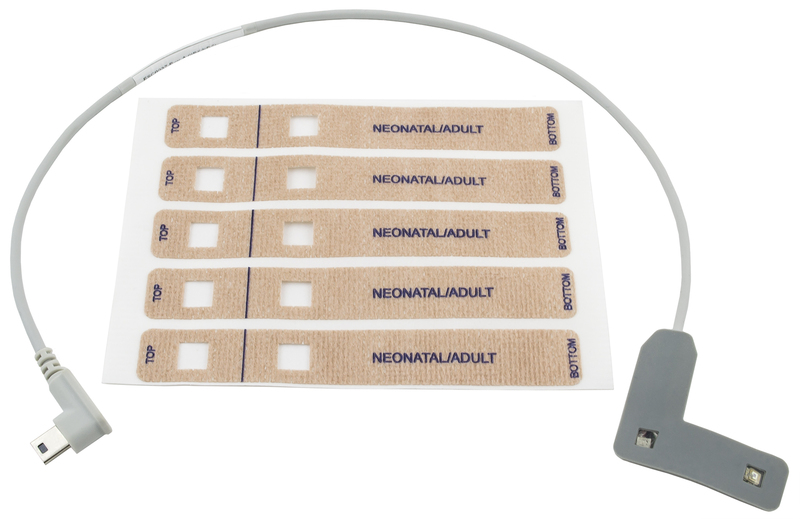 The product is available for both infants and adults, depending on the type of probe used. Featuring a large high-contrast OLED display which allows you to read in the dark and during severe weather conditions, the CMS-50F Wristband Pulse Oximeter provides fast real-time and accurate reading including SpO2, Pulse Rate, bar graph indicating pulse intensity and pulse waveform. The unit is very light and easy to carry. One-button operation makes it easy to use. FDA approved CMS-50F features alarms (auditory and visual) when the finger is out of position, when the voltage is low, when it measures a reading beyond set limits, and even when the probe becomes detached. Several display modes and adjustable screen brightness levels allow patients and doctors to see the readings more comfortably and conveniently. One of major innovation here for the CMS-50F is the lithium-ion rechargeable battery. With a much longer lifespan than an Alkaline battery, and taking less space, this Wristband Pulse oximeter represents the pinnacle in minituarization for this type of technology. The CMS-50F has the ability to store data for a continuous 24 hours, including both measured pulse rate value and SpO2 value. 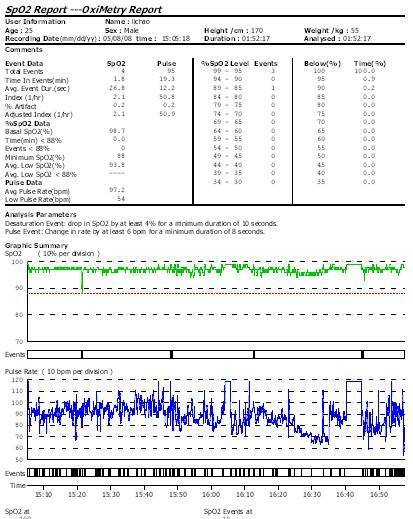 Readings can be uploaded to you computer easily using the included SpO2 management software and data cable that is included in the package. 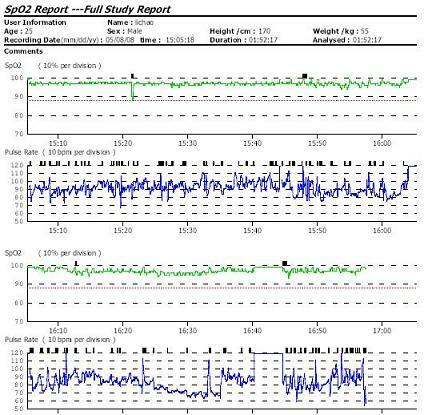 The data can also be displayed and printed for reference and analysis by a medical professional or physician. The device charges when connected to the computer via data cable with a USB port or connected to the power supply via power adaptor (included). The CMS-50F is connected with an external oximeter probe, either adult or infant probe, via a probe jack. This Wireless Oxygen oximeter can record the data and transfer it to your computer, then you can analyze it. Please note that your doctor or healthcare provider is the best source for your treatment plan. This unit is not intended to replace a doctor's visit and self diagnostics. This unit comes with a 30 day money back guarantee and a one year warranty. Comfortable soft finger tip probe is ideal for daily activities and overnight sleep studies. Oxyhemoglobin and pulse value can be shown correctly when pulse-filling rate is 0.4%. Deviation is less than ±1% between value of oxyhemoglobin measured in natural lighting indoor condition and present lighting sources and that measured in dark room. Powerful lithium rechargeable battery with wall charger or by a computer. Spo2 management software to upload and analyze up to 24 hours of data at a time. Deviation is smaller than ±1% between value of Oxyhemoglobin measured in natural lighting indoor condition and present lighting sources and that measured in dark room.